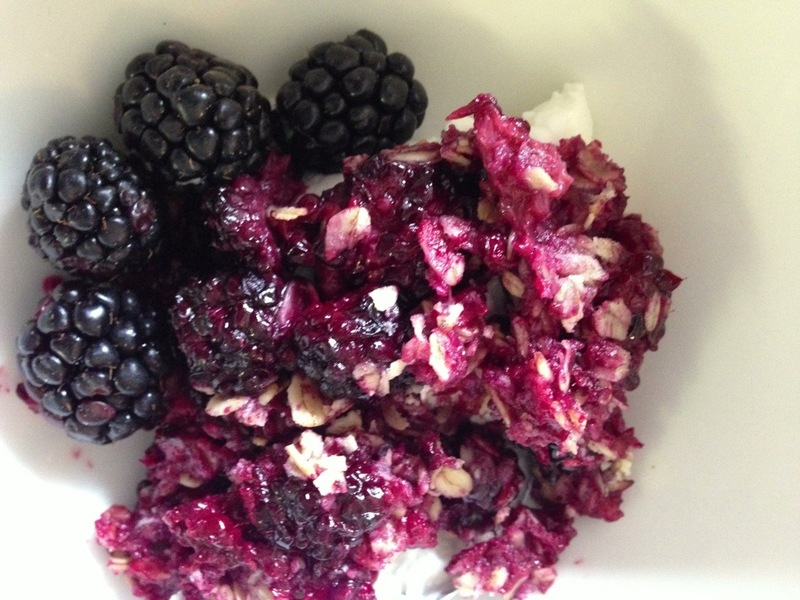 Treat your family to a tasty blackberry crisp with greek yogurt this weekend! 1. Preheat oven to 375 degrees. Place berries in a greased baking dish (9″x9″ or larger). 2. Combine oats, flour, brown sugar, stevia, cinnamon, and butter or oil in a bowl. Crumble together and sprinkle over the berries. 3. Bake for 20-25 minutes or until the filling is bubbly and the topping is crisp. Serve warm over cold yogurt. Easy, right? 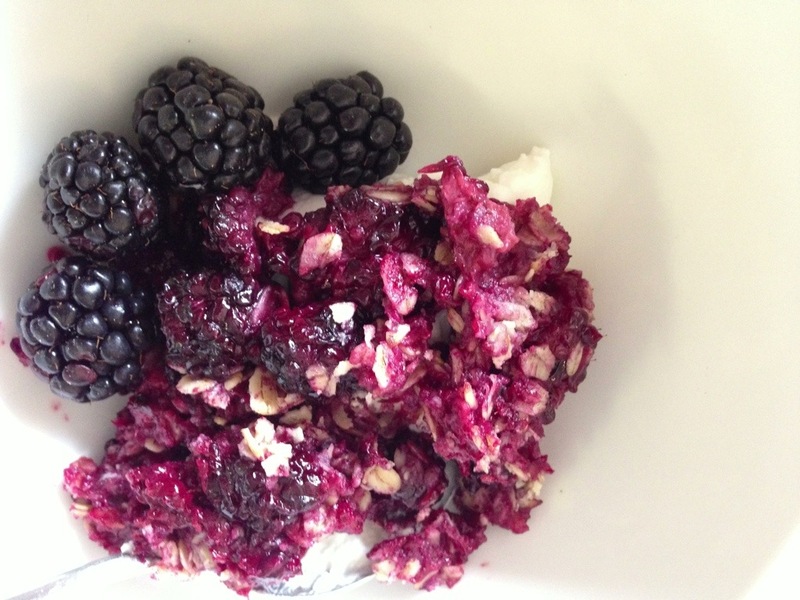 Try using other berries and summer fruits for fun variations. I think apple and blackberry would be an awesome combination.